Teaching is a beautiful, challenging, exhausting, rewarding and incredibly valuable job. Teachers sow innumerable seeds and often never see the fruits of their labor. They give their time and talent consistently and abundantly. No one sees their lesson planning, late nights grading papers or even their various weekend commitments. What we do see are the effects of a good teacher. No one can deny what an impact one good teacher can have on any one student. As summer comes to a close, the life of a teacher is shifting into a place of excitement and intensity. They are preparing their classrooms and hearts for precious, impressionable souls that will soon walk through their door. Public school teachers, private school teachers, homeschool teachers, private tutors, administrators and paraprofessionals are all on the front lines. Let’s do the most supportive thing (and always the very best thing) we can do for them right now and pray. We thank you for the start of another school year. Thank you for the kids you have handpicked to be together in every class. You know every student’s name and you know every teacher’s name. You know what days will be most challenging and what days will be most fun. You know when each classroom or home will grow unruly and when each teacher will grow stressed. You know it all. Since You know all these things, it is only You who can provide adequate comfort, wisdom, and patience to teachers. I pray that every teacher would seek You first. If a teacher does not know Jesus Christ as Lord, I pray that something will happen this year that will draw him or her straight to You and to a point of believing in the saving power of Jesus. I pray for every teacher that already has a relationship with you- that they would never sacrifice their intimacy with you because of job commitments. Do not let busyness push out their alone time with you. You alone can help each teacher find the right pace. 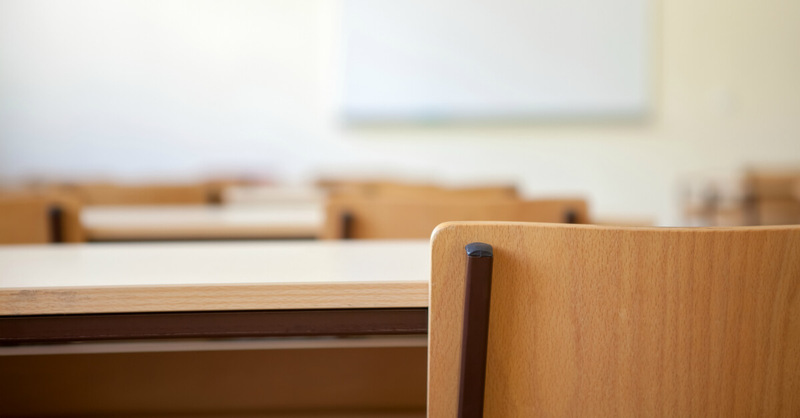 Equip each teacher with a keenness to pick up on students being bullied, abused or berated. Show each teacher how and when to step in, how to listen, and how to love. We know from your word in John 4:8 that “Whoever does not love does not know God, because God is love.” Father, some kids don’t know you and don’t know love, but I pray that each teacher will tap into your endless supply of love. You know how each kid needs love. Only you can fill up one teacher with enough love for a whole classroom. Allow parents to be involved in their children’s education. Remind us moms not to be overwhelmed, but to come alongside our children’s teachers. I pray that the teachers would have grace as they interact with parents who might not always speak kindly or respectfully. Lastly, I pray for the families of teachers. Let every spouse of a teacher be slow to anger and quick to listen. Let every family grow closer together and to you. Move mightily in the classrooms across our country and world. You are the only answer to the big problems we face. You offer us the only truth, the deepest kind of healing and the most transformative hope. It is the knowledge and belief in your son, Jesus Christ that will change students’ hearts forever. Do something big this school year, God. Revive the souls of our teachers and students in a way that only you can. 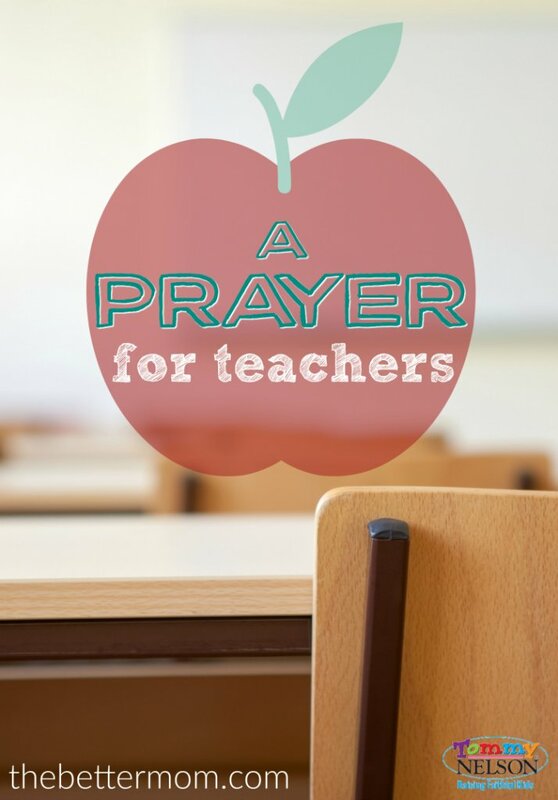 What prayers are you praying over the teachers in your life this year? This entry was posted in Blog, Tommy Nelson and tagged Back to School, Education, Prayer, Prayer for Teachers, Teaching by Ruth Schwenk. Bookmark the permalink.